In 1978, Californian businessman Garn Eckardt met Dallas lawyer Doug Adkins, and mentioned he was trying to raise capital to move an NBA team to the city. Asking for a possible partner, Adkins recommended him one of his clients, Home Interiors and Gifts owner Don Carter. Negotiations with Eckardt fell through, but Carter remained interested in the enterprise as a gift to his wife Linda, who played basketball while at Duncanville High School. At the same time, Buffalo Braves president and general manager Norm Sonju grew an interest in bringing the NBA to Dallas as he studied possible new locations for the ailing franchise. 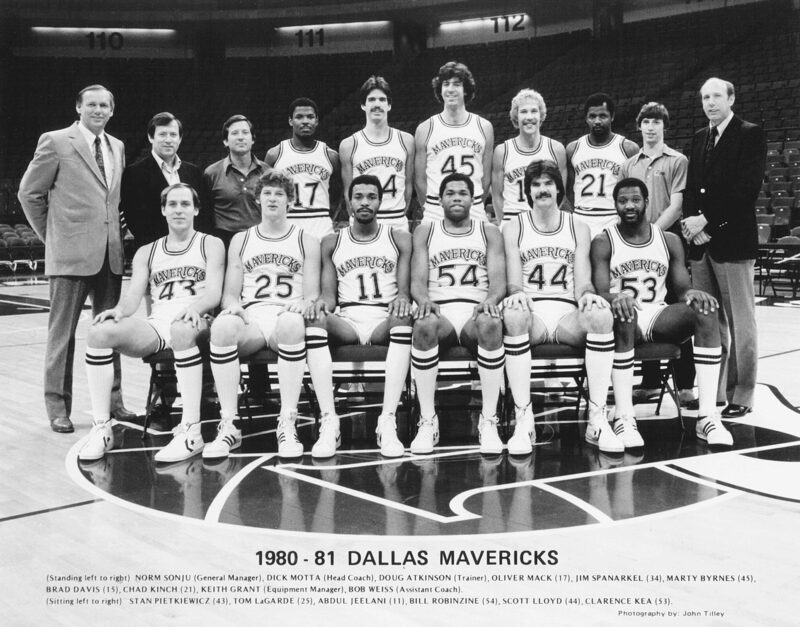 While the Braves went to California as the San Diego Clippers, Sonju eventually returned to Texas, and was introduced to Carter by mayor Robert Folsom, one of the owners and team president of the last professional basketball team in the city, the Dallas Chaparrals of the American Basketball Association which moved to San Antonio in 1973 to become the San Antonio Spurs. Sonju and Carter tried purchasing both the Milwaukee Bucks and the Kansas City Kings, but disagreement on relocation stalled the negotiations, leading them to instead aim for an expansion team. The league was initially reluctant to expand to Dallas, given Texas had both the Spurs and Houston Rockets, and the 1978-79 NBA season was proving unprofitable 18 out of the 22 teams lost money and unpopular, television ratings fell 26 percent. Still, during the 1979 NBA All-Star Game weekend, NBA commissioner Larry O’Brien announced the league would add two new teams in the 1980-81 season, with teams in Dallas and Minneapolis. Once the Minnesota team backed out, only Dallas remained, and through negotiations with general counselor and future commissioner David Stern, the expansion fee was settled on the $12.5 million.